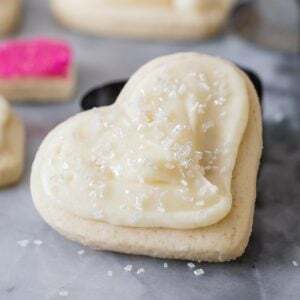 *Baking time will vary if you use smaller or larger cookie cutters. I used heart cutters that were about 3” in diameter. **This is to help your frosting to crust and firm up more than it would otherwise. It will never be completely hard, but adding the cornstarch makes it easier to handle and transport the cookies without the frosting getting ruined. If I don’t want to bake the whole batch at once and refrigerate part of it, does the dough need to sit out a while bf it will roll out? Can’t wait to try these! Hi Sarah! It will probably get pretty firm and will need to sit for a few minutes (like 15) at room temperature so you can roll the dough without cracking. I hope that helps! These are the best cookies ever! The frosting goes with the cookies so well. I have made them 2 times now and they get better every time. These were amazing. I doubled the vanilla in the Frosting, and I loved it. 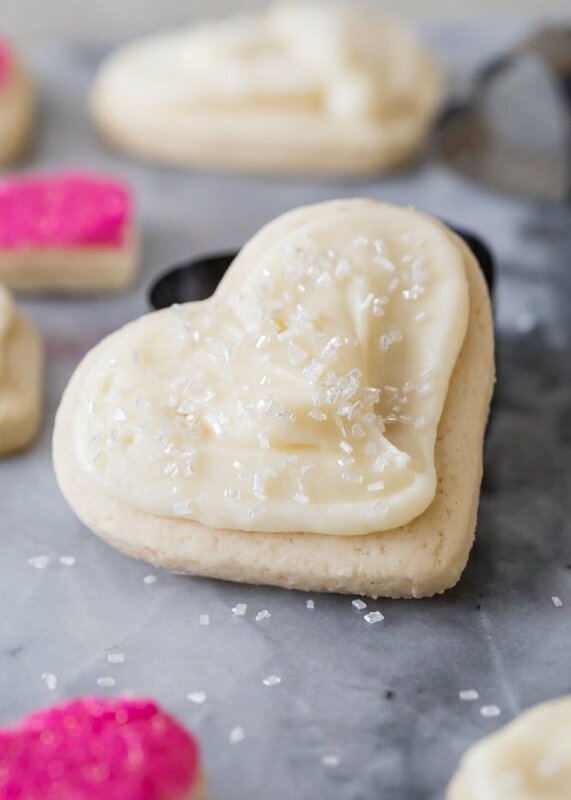 Definitely my go-to Frosting recipe from here on out! 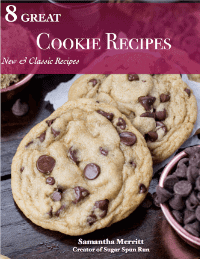 The cookie recipe is great too, no spreading at all. My oven needed a few extra minutes for the cookies. 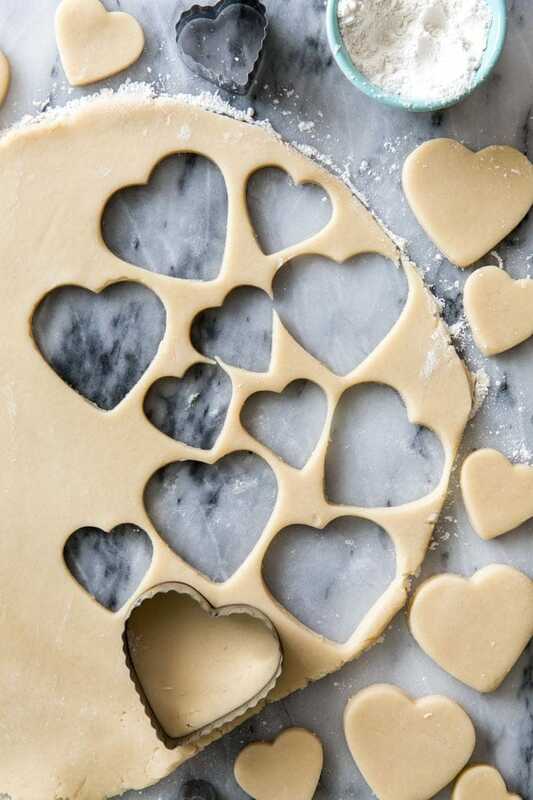 Does the icing crust on these? Just wondering if they’re stackable so they can be transported easily. It crusts a bit if you let them sit at room temperature for several hours, but not enough that I really recommend stacking them. 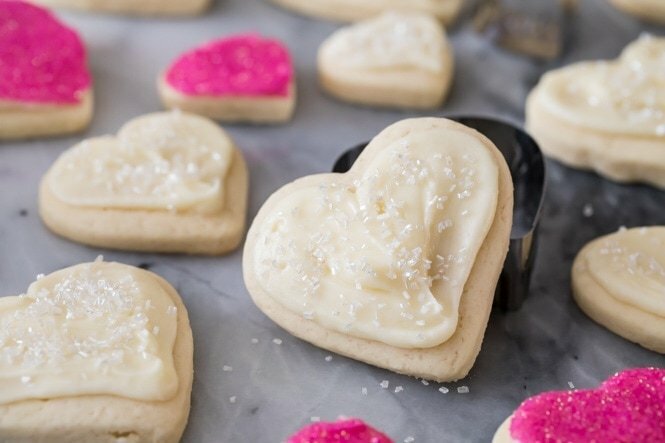 Do you need to refrigerate these cookies after frosted?